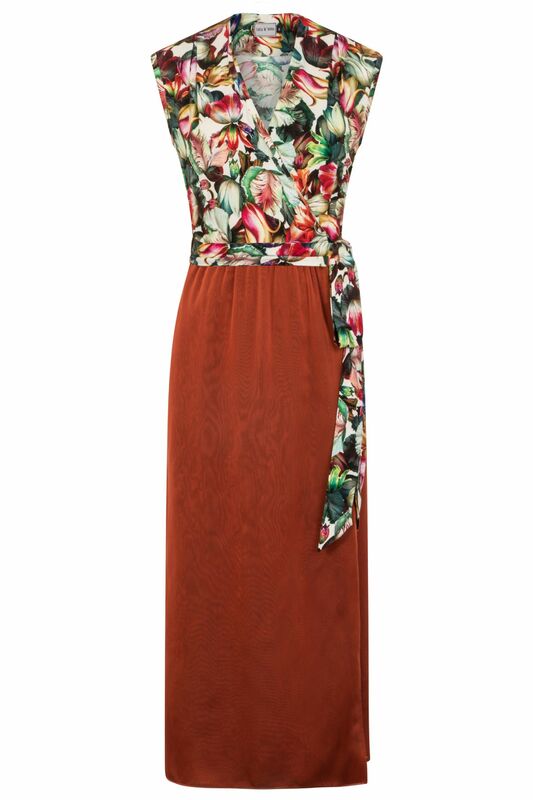 Summer Boho wrap dress is the perfect dress to take you from beach to cocktails in the evening. Created with a beautiful vibrant floral print wrap bodice and full length layered chiffon skirt in copper. Fabric : bodice 100% viscose , skirt polyester chiffon .